Dear Bloodsuckers, please don’t kill the logic! Whenever I read a piece of fiction, no matter what genre, I get very irritated with writers who don’t apply logic or don’t bother to do even a minimum of research into the professions, locations and circumstances of their characters and plot. Even in fantasy fiction, logic still applies or a plot loses credibility within the setting of its own world. Since much of Willow the Vampire and the Würzburg Ghosts revolves around events of the past, I want to look at creatures of the night living a normal life through the ages. What were their circumstances, how did they survive, what disguise might they have used to get by? It’s all very well to create romantic Twilight vampire fiction that tells us vampires are immortal and are now living as teenage heart throbs in some American dream town, but how did their ancestors survive the difficult centuries before? How did the bloodsucking inhabitants of True Blood arrive in the American South and why were vampire slayers like Sunnydale’s Buffy the vampire slayer and her helpmate Faith or Bram Stoker’s Van Helsing created at all? Continuing with my research into vampire life in early Britain I discovered that before the tenth century nearly all people lived in small hamlets or in single dwellings scattered around the rural landscape. A small hamlet consisted of no more than 5 farmsteads with barns and outhouses for animals, while a full scale village would have had just twelve to sixty families living in an enclosure surrounded by a ditch and fence. People made their living mainly from the land. 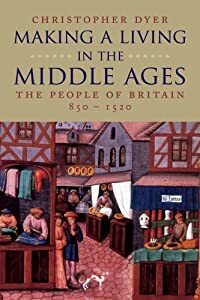 Professions like shepherd or keeper of swineherds, farmer, blacksmith, dairymaids, ploughmen, woodsman and fishermen were common, but millers less so, as the erection of vertical wheel mills didn’t start until just before 900 AD. Until then, most families would engage women and children to mill by hand. This means the majority of professions would have been carried out during daytime hours, when vampires were fast asleep. Kings and the nobles lived in larger dwellings, castles that were really city states. They were mainly concerned with hunting, their favourite pastime, and keeping their tenants and slaves hard at work. Landowners had to manage the meagre woods left by the Romans, who’d robbed Britain of most of its primeval forests and woodland, where people’s natural food resources had lived. After the year 850 more laws were introduced to protect deer and boar as well as existing woodland and forests, making hunting and foraging for wood illegal, except for the king and the aristocracy. This means running around in woods looking for human prey would be a waste of time as far as werewolves and vampires are concerned. Writers of vampire fiction often neglect to explain how vampires had to survive through the ages. Vampires, without enemies like slayers or vampire hunters, have no natural enemies, so they are eternal as long as they can feed on blood. It therefore would have been essential for vampires to move in the circles of nobility, as lords lived with their servants, slaves and members of the church in far larger settlements than any other mortals – otherwise vampires would have had to live as hermits in the woods and fields, foraging for rodents. Hardly romantic or cool for the modern vampire so keen on presenting a marketable image. And what about traditional friends and animal allies of vampires and witches? Were they plentiful or scarce and where did they live? By the 11th century bears had already been hunted to extinction in Britain, while in the 12th century beaver numbers had been reduced to a few small family groups living in Wales and Scotland. Vampires would have still had some wolves as their allies, but these wonderful animals had also been hunted to such an extent, they only survived in remote parts of English forests and a few other deserted places in Britain. Why then are genre writers telling us vampires and werewolves or bloodsuckers and regular wolves are meeting en mass to either fight or conspire? A meeting between werewolves, regular wolves and vampires would have to take place in some remote location in Scotland’s Highlands or some Rocky Mountain reserve…hardly the typical hangout for blood-hungry teenage vampires with a desire to have fabulous hair. I may be a geek and a nerd, but I value logic even in supernatural writing! The afterlife must have been tough during the Middle Ages, making the prospect of joining the crusades in the guise of a noble knight quite a lucrative undertaking. Warfare and local squabbles among lords and kings must have been the main food source for vampires prior to the emergence of cities and towns. Incidentally, I love Anne Rice’s vampire stories because she likes to show us how her protagonists might live their afterlife throughout the centuries. Another interesting fact I came across was that before slavery virtually died out in 1100 AD, the price of a male slave was £1, eight times the price of an ox. No doubt wealthy vampires would have been able to keep slaves and therefore have their own food source at hand. In Willow the Vampire’s second adventure the accumulation of wealth among vampires is crucial, hence my interest in vampire history and how they might have reached their present day role in society. With most of the population being in bed by 9.00 pm there would have been little point for creatures of the night to go out hunting for human blood. Medieval children would often be told by their no doubt exasperated parents trying to persuade them to go to bed that “the bloodless and boneless (were) behind the door”, that witches, elves, hags, furies, satyrs, urchins, spirits, pans, fauns, silens (wood gods) and bull beggers (bogies)* were lurking in the shadows at night. Unlikely then that small people would have ventured outdoors as prey for hungry bloodsuckers. Naturally, vampires could have broken into homes, but this leads us back to small hamlets and villages, where all families knew each other. A stranger stood out like a sore thumb and more likely than not would have been either driven out before nightfall or confined somewhere in a barn. 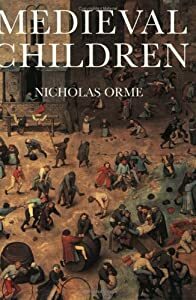 The main killer of medieval children was hunger and want, not a bite to the neck. All accidental or unusual deaths were examined – children’s and adults’ corpses would be seen by a coroner and a report into their deaths would be compiled, before being presented to a jury. Vampires leaving an obvious trail of corpses wouldn’t have gotten very far – a fact that is often overlooked in vampire fiction. From the poorest peasant to noblemen and lords, every “accidental” death would be examined and reported, starting with the tiniest babies. Oddly enough, it wasn’t the bites from vampires that posed a threat to medieval children, it was pigs wandering through open front doors into people’s houses and taking a chunk out of a baby or upturning their cradles, thus killing its tiny occupant. Some pigs were reported as having eaten a whole baby, so I guess vampires occasionally put the blame on some unfortunate sow (see Chaucer), when their own foul deed had been discovered by an outraged parent. My next blog post will therefore be about one of my favourite shy creatures of the night (and twilight), the wild boar. I haven’t read a lot of books in the vampire genre so I can’t comment on what particular writers are doing. However, I love history and would definitely read a vampire novel which was well researched and historically accurate. Well, it really applies to all writers, but especially the fantasy genre, where writers often think “ah it’s fantasy, so I can write whatever comes into my head”, forgetting that logical still applies within the confines of their own world. Worse, when they use half real world and half fantasy realm, forgetting that there are people out there who are knowledgable about history …and geography. I think the writer misses out in the end – readers get fed up if there are constant inaccuracies. Well, Dan Brown hasn’t done too badly! His writing is terrible, just the sort I mean, full of unbelievable co-incidences and lack of logic. Yes Dan Brown has done very well out if it – mind you, we can say whatever we want to about his books but he is a page turner no matter what we think about his unbelievable coincidences and lack of logic. Mostly though, I do think that readers get peed off with it – I know I do.